December is a month when many things are overdone. Stores are open 26 hours per day, sales offer discounts on discounts (or so they claim), foods have more calories and portions are larger, etc. With all these other excesses, I suppose it should then be no surprise that December would outdo all other months by having three official birthstones. Zircon, turquoise, and tanzanite are all recognized birthstones for the final month of the year. I guess we had better get started. Olivine is one the most common rock-forming silicate minerals on our glorious planet. It is found in iron and magnesium rich igneous rocks, both extrusive rocks like basalt (think Hawaii) and intrusive equivalents like gabbro and deep mantle rocks called peridotite.. When it is found transparent and unfractured, olivine can be faceted into a brilliant green gemstone. We call that gemstone peridot and it is the August birthstone. Olivine Group minerals are nesosilicates, meaning that their mineral lattice consists of isolated silica tetrahedral that are connected by interstitial cations (most commonly iron and magnesium). This leads to the formula (Mg, Fe)2SiO4. End member Mg-bearing olivine is the mineral forsterite, while Fe-dominated olivine is the mineral fayalite. The term chrysolite is sometimes used to label intermediate composition olivine. Most olivine contains both magnesium and iron, but Mg-rich forsterite is more common than fayalite. Rubies are red, very red. Rubies are hard, very hard. In fact with a hardness of 9 on the Moh’s scale, they fall just below diamonds as the hardest natural mineral on earth. Ruby is also the birthstone for July, the seventh month in the Gregorian calendar. Published in the June WCGMC newsletter. 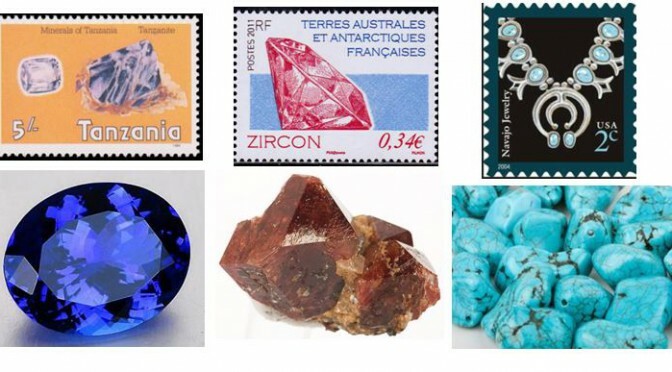 It is not quite fair to the rest of us, but folks with a birthday in June get a choice of two major birthstones. Pearl is the original modern gemstone for the month, officially named as such in 1912 by the National Association of Jewelers. However, alexandrite has been since added as a June gem. It seems we have been here before! The May gemstone is a repeat of the mineral beryl. Yes, emeralds are a different color than the March gemstone aquamarine, but mineralogically a beryl is a beryl is a beryl. 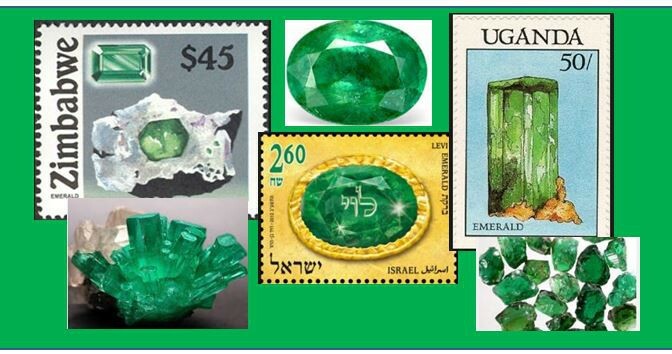 The striking green color of an emerald is caused by the introduction of just 0.1-0-5 percent chromium substituting into the aluminum spot of the beryllium silicate mineral. A small amount of vanadium is also present. It is truly amazing that just a fraction of a percentage of an element can impart such a striking difference in color. While the richness and intensity in color is paramount in valuing an emerald, the presence of visible inclusions is also important. Emeralds lacking inclusions to the eye are considered flawless and carry more value than those with visible inclusions. Diamonds are found in very unusual magmatic intrusive bodies called kimberlites or in alluvial deposits resulting from the weathering and erosion of kimberlites and the concentration of the hard and resistant gems in placer deposits. Kimberlites are pipe-shaped igneous intrusions that erupted from great depth. With high gaseous and volatile content, they were able to fracture and penetrate the very thick continental crust, often encapsulating blocks of the fractured host rock as they ascended. (Kirkley et. al.,1991). 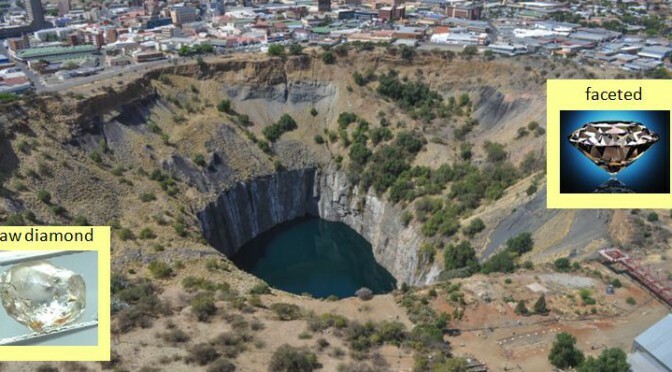 Their pipe-like morphology is evident in the picture of the kimberlite pipe quarry from Kimberly, South Africa pictured in the header of this article. The mineral beryl is hard and can sparkle with exceptional clarity and wondrous color when free of inclusions and defects, clearly justifying its lofty gemstone status. In fact, not just one gemstone, but several depending on the color imparted by trace amounts of iron, chromium, manganese and other transition elements substituting into the crystal lattice. Aquamarine, emerald, morganite, and heliodor are all gemstones of the mineral beryl. But it is sky blue variety that has our special attention this month as aquamarine is the March birthstone. 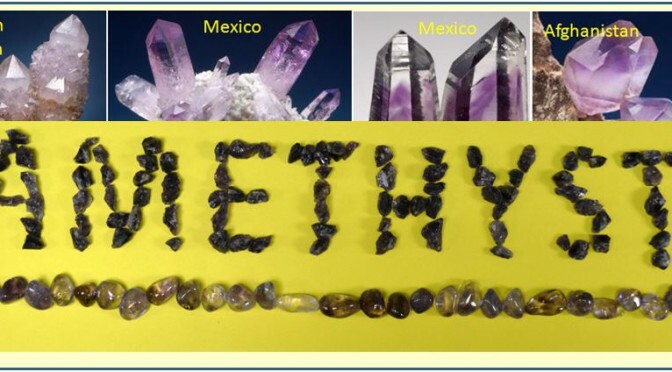 Everyone likes the color purple and mineral collectors like shiny crystal surfaces and perfect terminations. Therefore, is it any wonder that amethyst attracts attention? Whether it is spotted in a 2” miniature specimen off matrix, filling a small geode, or covering a huge Brazilian crystal cathedral, eyes are always drawn to the splendor exhibited by a fine amethyst piece. Given its appeal, is it any surprise that amethyst is the February birthstone? 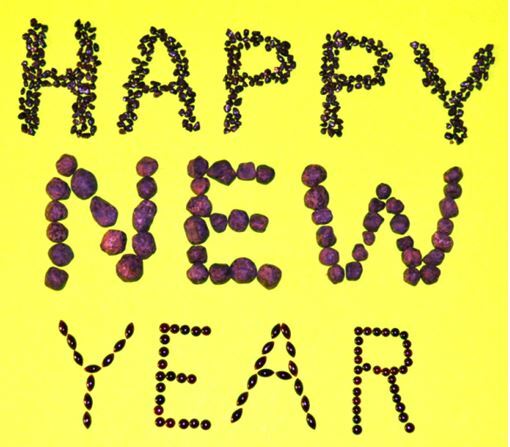 Wayne County Gem and Mineral Club has decided to make 2016 the year of the Birthstone. And isn’t garnet a great way to get started! Garnets are hard (Moh’s hardness of 6.5-7.5), or as hard or harder than quartz. As members of the isometric crystal system garnets are symmetric with three equal and perpendicular axes. Garnets are colorful: red, yellow, green and many shades of each. And garnet is the birthstone for all born in January.